You just can’t leave dead bodies laying around about the place, you know. So Mrs Gale is needed. 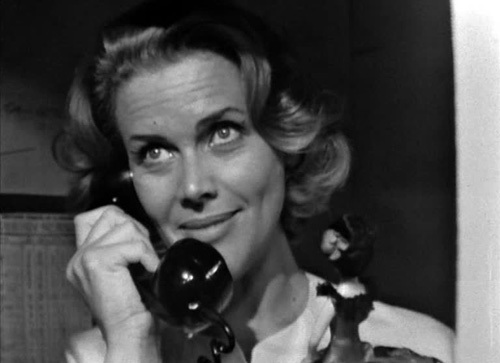 I can’t say I’ve ever been a huge fan of Honor Blackman’s performances, perhaps because many of her roles tend to the stern or austere. But she’s congenial and relaxed throughout Death Dispatch, and has instant and inviting chemistry with Macnee. 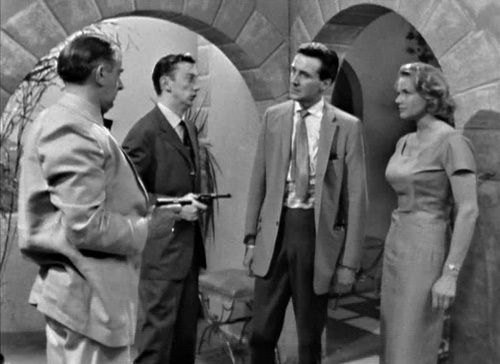 The plot is merely so-so, but they carry the proceedings with aplomb. 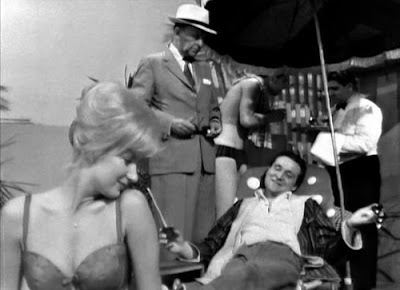 Said plot involves One Ten (Douglas Muir) directing Steed to replace a diplomatic courier stabbed in the back during the opening scene (he dies instantly, which is lucky); the aim is to “Give the murderer a second chance”. What follows is a travelogue from Jamaica to Bogota to Lima and finally Santiago as Mrs Gale more than efficiently acts as Steed’s cover and protector. As such their travels are engaging, but anything involving Santiago and the guy who wants to get his mitts on the diplomatic goods is a bit of a dud. 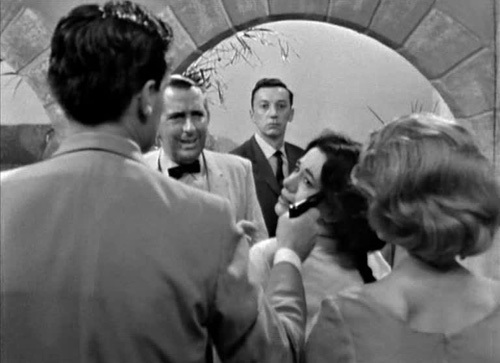 Miguel Rosas (Richard Warner) seems to think he can engineer a political takeover, which doesn’t bear much scrutiny. 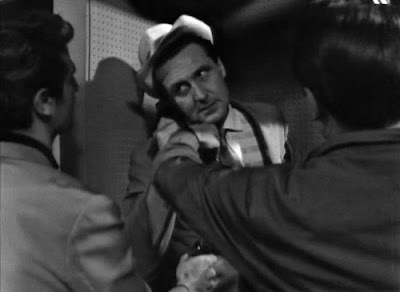 He’s a rather dull fellow, and has a daughter (Valerie Sarruf) who digs horses and gets obligingly in the way during the Chilean standoff climax (there’s no compunction from Steed in putting a gun to her head). Fortunately, he’s assisted by his more interesting and icy American Number Two Monroe, who does all his dirty work (David Cargill); the tensest scene finds Cathy posing as a non-English speaking maid, resisting his interrogation and swiping some evidence. 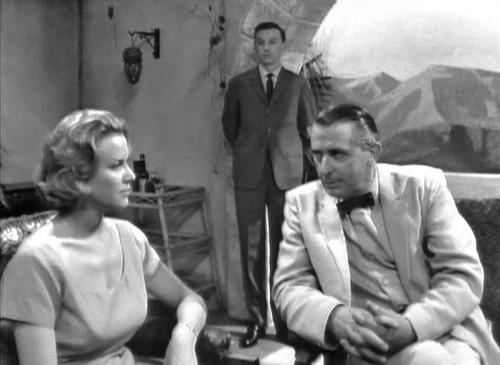 Steed: Have you spotted anything? Cathy Gale: Apart from the play you made for the stewardess, not a thing. 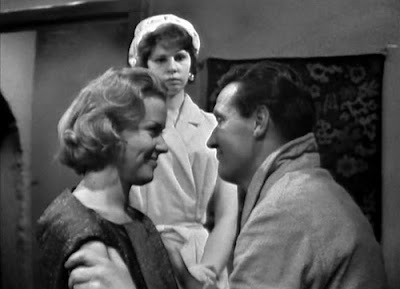 Steed’s very much got the roving eye in this one, checking out all the lovelies (perhaps as an overt way of saying his interest in widow Mrs Gale is strictly platonic; accordingly, she indulges his mildly lechery with benign quips). He still has the champers ready for Cathy on her arrival, however. We’re also treated to an impressive cheesecake shot of Cathy in her bra that must have seemed quite daring at the time (it still packs a punch). Mrs Gale shows she isn’t just a pretty rack by dazzling us with her fluent Spanish and bailing Steed out of bother with heavies during a telephone booth set piece. 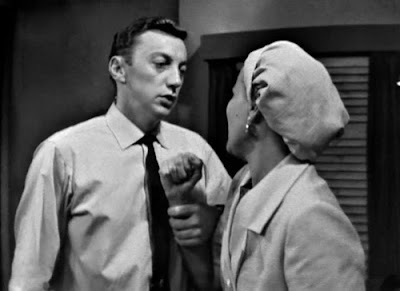 She and Steed also indulge in fake canoodling and rich banter; he prefers ruining Mrs Gale’s reputation to waking up with a knife in his ribs, and jokes that he “might make an honest woman of you”. 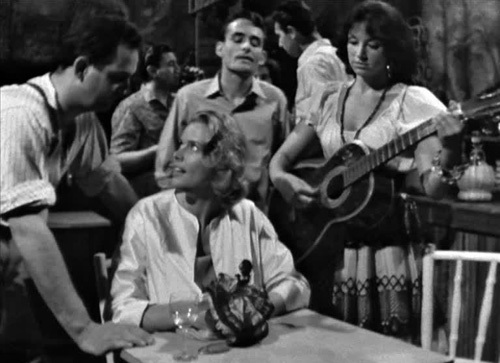 Santiago consists of two sets, and like the rest of the episode an abundance of stock footage. One of the sets is Rosa’s hacienda, the other a bar with an incredibly annoying guitar player/singer (how are you expected to concentrate on your nice quiet drink?) 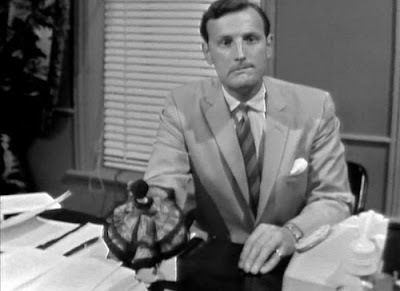 and clientele who clam up when Steed comes a calling (“You’re either stupid or a congenital liar. Probably the two of them” he tells the bartender). 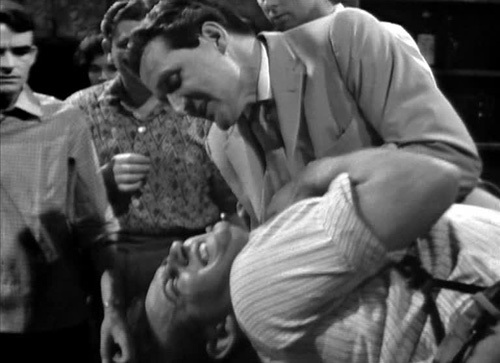 Steed’s a deceptively dapper bruiser at this point, happy to engage in ungentlemanly down-and-dirty interrogations. He also sports a quite revolting cummerbund. 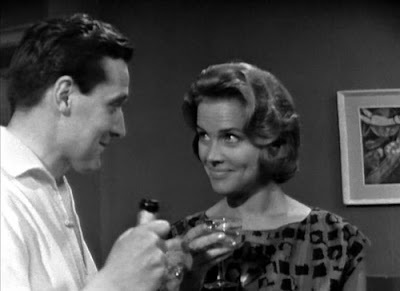 While sophisticated drinking is a constant throughout the show, I’ll have to look out for when/if smoking takes a back seat; he and Cathy are constantly at it here. 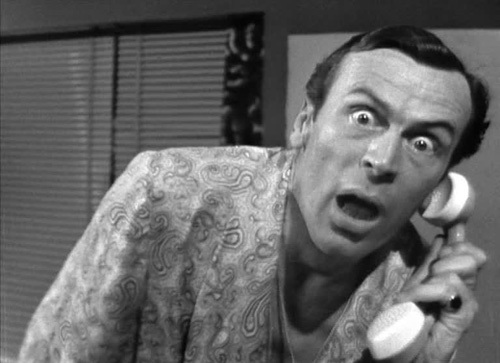 The comic highlight finds Gerald Harper (Adam Adamant Lives! 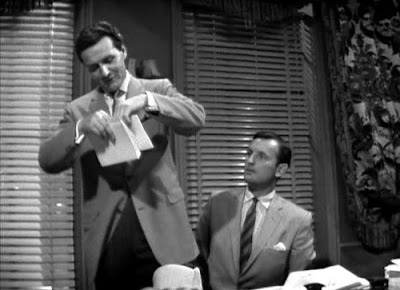 and two further Avengers) as by-the-letter embassy bureaucrat Travers, frustrated at Steed’s flouting of the rules (“You just can’t leave dead bodies laying around about the place, you know”) and disappointed that John is not the Steed who played for Worcester. I'm interested to see what you will choose. Time catches up with us all. Belief is often the death of reason. He is changing the pattern of the game board. A man who doesn't love easily loves too much. Why are they always trying to kill you? Coop, what happened to dead Josie? The devil's hands have been busy. What is it?